Unreal Lawns supply and install artificial grass in Leigh and the north west of England. We serve domestic and commercial customers in the area, with products suitable for a wide range of applications from outdoor spaces and gardens, to event areas, exhibition space and more. See below for some examples of projects we've carried out in the Leigh area. Unreal Lawns were contacted by a customer in Leigh who wanted to replace a gravelled area in their front garden with our artificial grass. We installed our Supreme 38mm artificial grass in the space to create a small lawn. 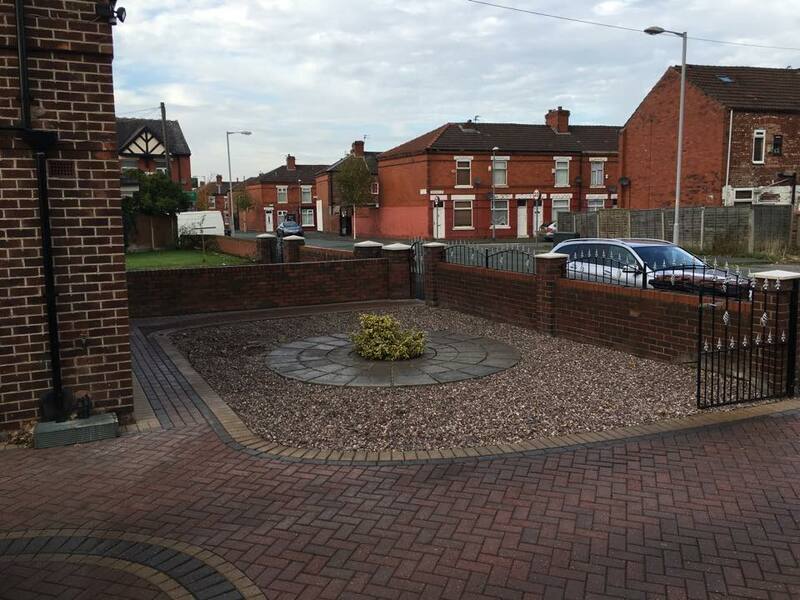 We think it makes a big improvement and contrasts really nicely with the paved area surrounding it. The customer was delighted with the result, and were happy to have some colour in their front garden now. Unreal Lawns visited this property in Leigh to create a small, modern garden space at the front of the house. 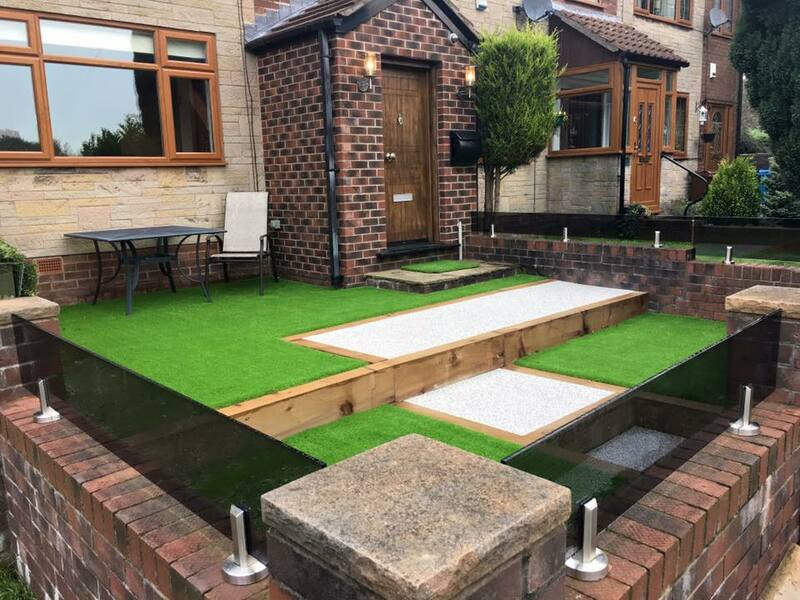 We installed our artificial grass, along with railway sleepers and smoked glass frameless wall infills. The resin path was done by Simply Resin. The finished garden all comes together really nicely, and creates a spectacular first impression of the property as you walk to the front door. The perfect show garden!